“Books have historically been an important arena for artistic endeavor. Early in the 20th century, artists often illustrated existing texts, creating deluxe publications released in limited editions. 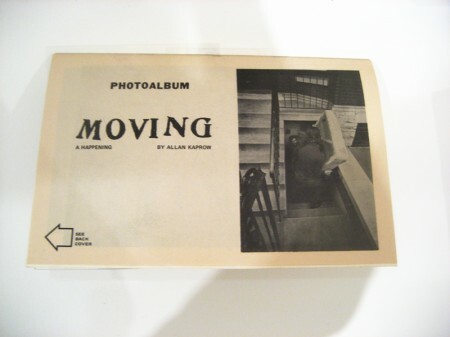 By mid-century, many were beginning to see books as a more democratic way to present visual information. 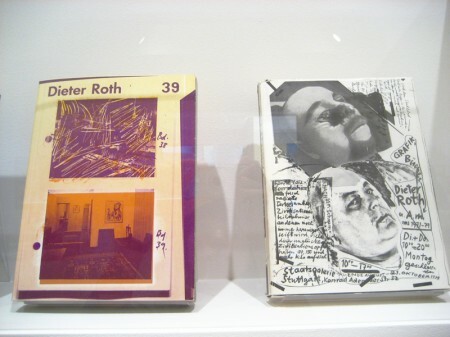 The rush of underground publishing in the 1960s and rise in widely distributed leaflets, posters, and magazines set the stage for an unprecedented exploration into the book as an art form, often reﬂecting contemporary movements such as Pop Art, Minimalism, Conceptual Art, and feminism. Since then, newer modes of commercial printing and experimentations with handmade papers, unconventional methods of binding, and unexpected materials have vastly expanded the book’s potential. 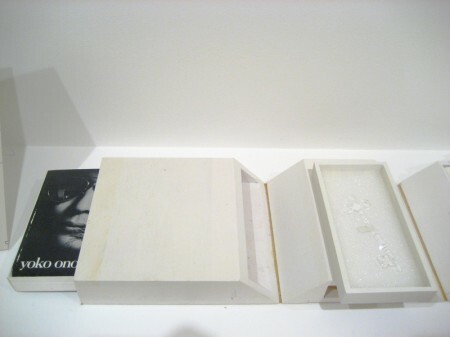 Over the past 30 years, the Walker Art Center Library has amassed a significant holding of artists’ books and illustrated volumes that numbers some 1,600 objects. Usually accessible to the public only by appointment, these works, supplemented with pieces from the museum’s permanent collection, are now on view in the galleries for the first time in two decades. The exhibition’s identity, graphics and labels, designed by Walker design fellow Noa Segal, reference the card catalog system the Walker Library uses to organize it’s books. 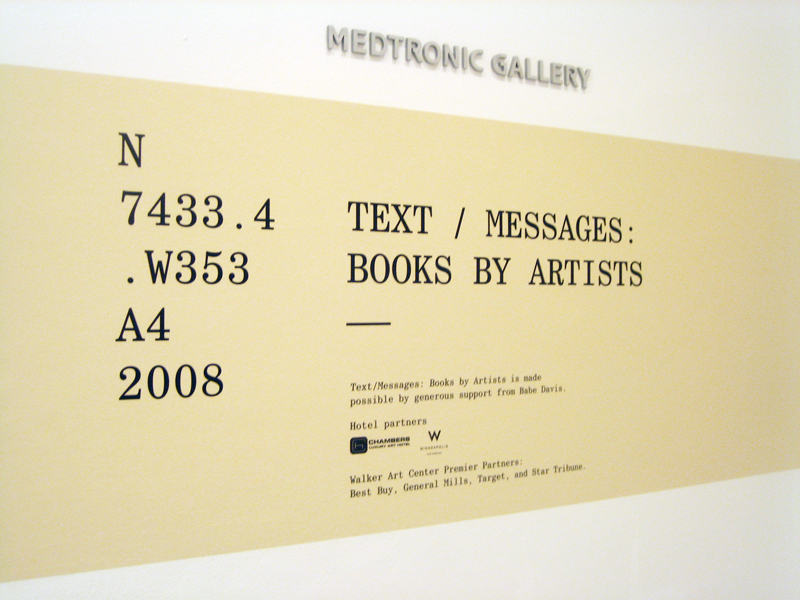 The actual call number for each book is beautifully and cleverly used as an informational and graphical basis for the show’s printed materials. 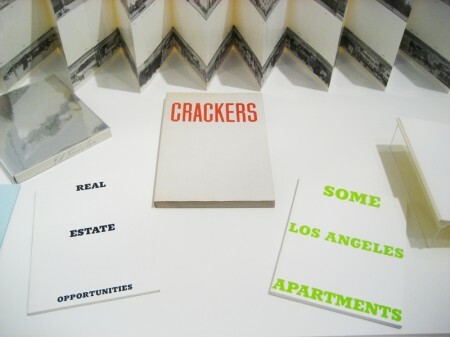 In an upcoming post, a conversation between Segal and Walker curatorial fellow Dan Byers, will describe in detail the process and development of the visual identity of Text/Messages: Books by Artists. 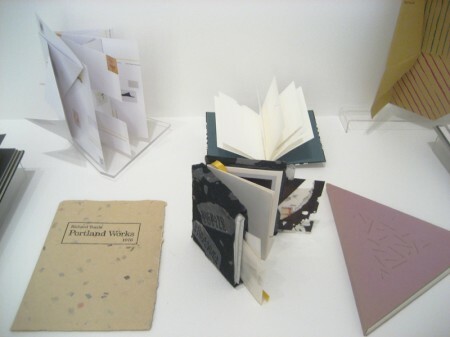 Minnesota Center for Book Arts instructor Aki Shibata and artist Sam Hoolihan lead the curious on four bookmaking adventures that utilize audience-generated text messages, photos, found objects, and even paper! All materials will be provided. For details on individual workshops, visit calendar.walkerart.org. 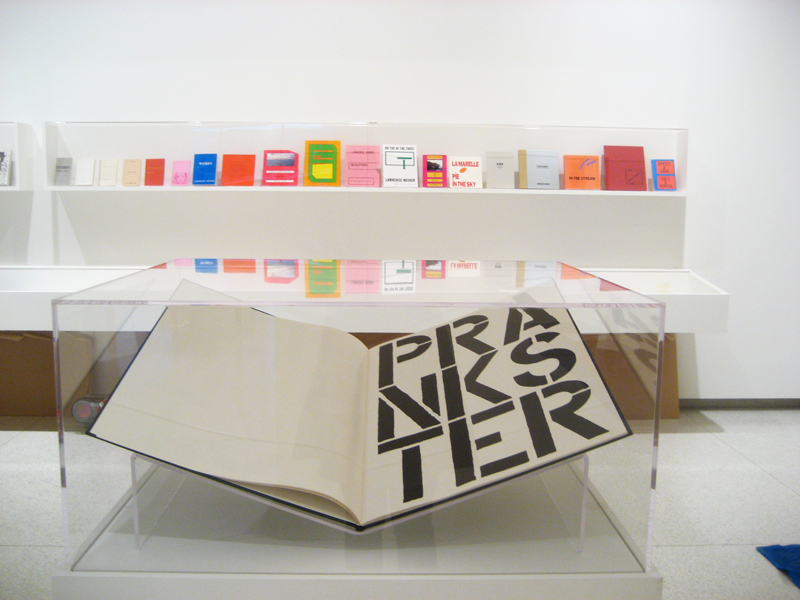 Text/Messages exhibition curators discuss the history of the Walker’s collection of artists’ books and point out examples of works that have been key contributions to this dynamic area of artistic production. 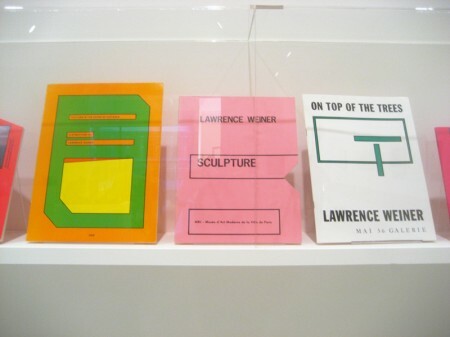 Artist’s books have always held an important place in the Walker’s collection, yet they are rarely exhibited in the gallery. 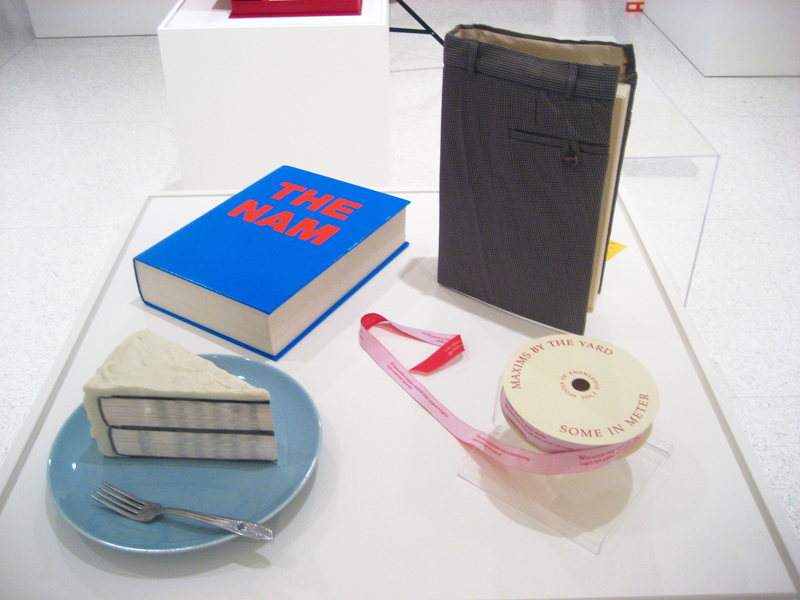 David Platzker, book dealer/scholar and former director of Printed Matter, Inc., moderates a discussion on the current state of artist’s book production. Panelists include artists Buzz Spector and Harriet Bart, and James Hoff of Primary Information. 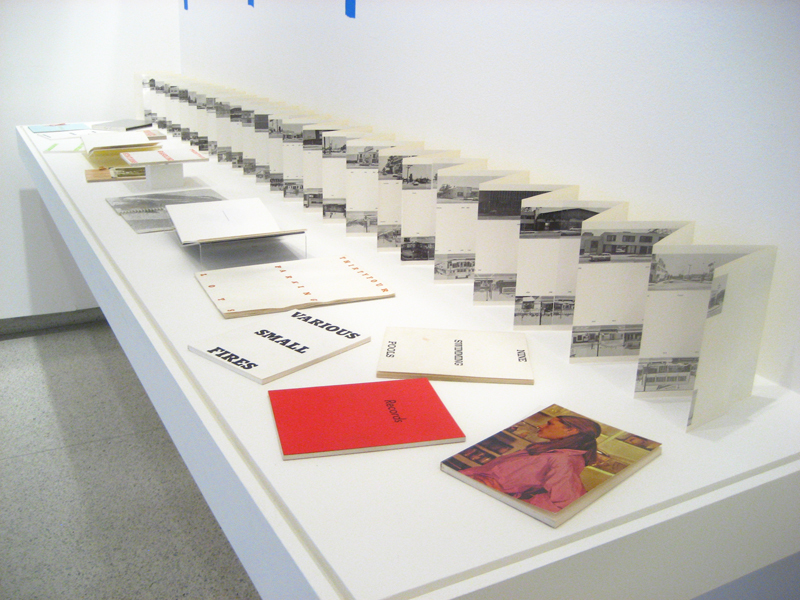 Copresented by Minnesota Center for Book Arts and Rain Taxi Review of Books. Minnesota artists who make book-related multiples set up shop at the Walker for a day of merriment, complete with short presentations on the history of chapbooks, radical reasons for making multiples, and more. 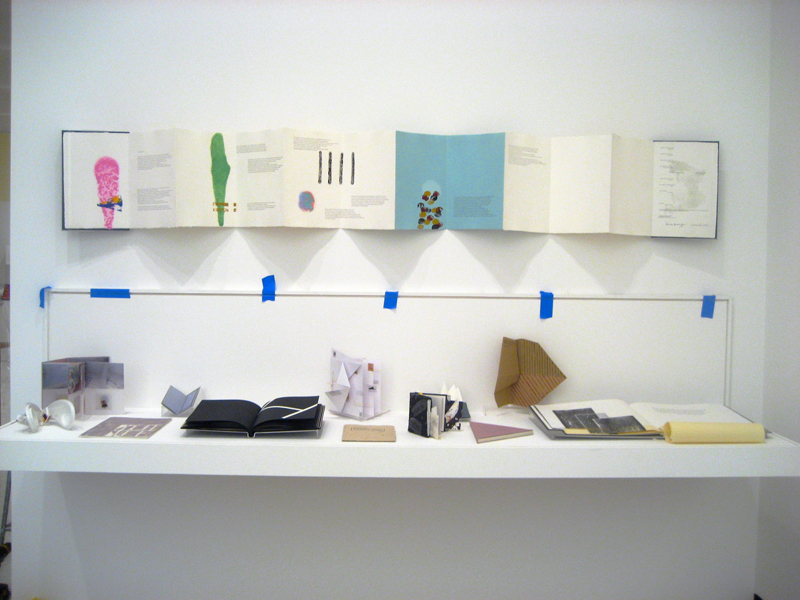 Artists’ books, chapbooks, zines, and other booklike objects will be featured. Come browse the offerings and purchase a piece from this local and thriving creative scene. For a full schedule of activities and a list of participants, visit mnartists.org/multiplesmall. Copresented by mnartists.org, the Minnesota Center for Book Arts, and Rain Taxi Review of Books. 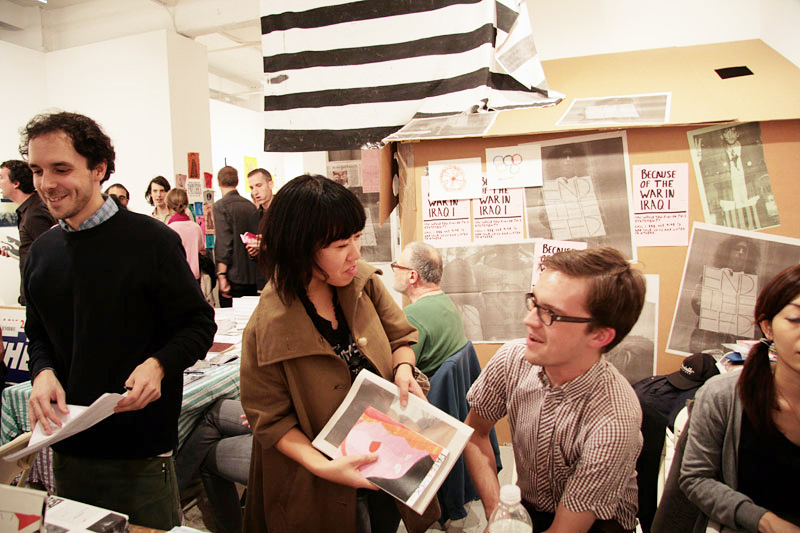 In the spirit of Text/Messages, I will be posting in the upcoming month, conversations I’ve had with artists, designers and independent publishers at this year’s NY Art Book Fair about the various books, periodicals, and ‘zines that they’ve put out.